The Other Boufs: Mommy, Daddy, Katie, Timmy ... and more! : Mrs. Piggle-Wiggle, where have you been all my life? Mrs. Piggle-Wiggle, where have you been all my life? What are your earliest reading memories? I remember breezing through Ballerina Bess and the Fish Pond with my mom. I can see the covers of the books like they're right in front of me. The Cement Tent proved to be slightly more challenging. I transitioned into obsessing over Dr. Seuss's The Fly Went By and all of his fun tongue twisting books. I delved into the world of chapter books and never turned back. I remember my elementary school librarian, Mrs. Only, with affection. She pushed me and pushed me to read Anne of Green Gables. I think I checked it out on a regular basis for 2 years before I finally got myself to read it. I just couldn't get past the first chapter of Rachel Lynde's boring musings. But once I did, I pined for a Gilbert of my own. Then in fifth grade, we had a list of recommended titles and a computer program that allowed us to take tests when we were done for points and prizes. I read most children's classics that year. I'm less into literature these days and more into romance novels, but I've built a solid foundation of knowledge, imagination, and vocabulary. My husband once laughed at me because I pronounced a word wrong in conversation. He observed that I'm very interesting (understatement of the year); I have a great vocabulary, but where his is from hearing words, mine is from reading them. So when I try to use words in conversation - I'm frequently mispronouncing them. Katie also has a great vocabulary - which I recently commented on to her. Of course, I assumed that it was due to me passing on my natural brilliance and love of reading to her. She quickly corrected me and told me, no, that she learned all the words she knows from tv. And went so far as to rationalize that she should probably not waste time going to school and just watch more tv. Regardless of Katie's plots for even more tv (if that is humanly possible), I have gotten her to appreciate the world that books has to offer. 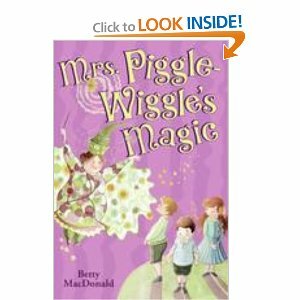 She recently selected Mrs. Piggle-Wiggle's Magic by Betty MacDonald from the library. 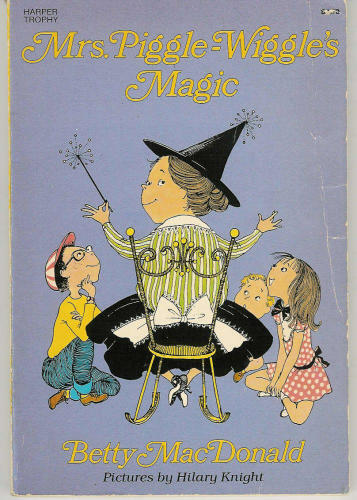 And not only does Mrs. Piggle-Wiggle have some very interesting magic tucked up her sleeve, but this book was written in 1949 and is STILL completely relevant. We're really enjoying reading the book as a family. So much that I had to call my sister and recommend it to her. Unlike even the Beverly Clearly books that I grew up on, there are very limited dated references in this book. And it's from 1949. From chapter to chapter, a magic remedy for a common children's behaviour issue is discussed. And folks, kids tattled then as much as they do now. Kids are kids and even if they are spending more of their days watching tv and playing video games instead of reading and playing outside, this delightful book proves they are still the same today. 1. You can share the name of your favorite kid’s book, and for every submission, JetBlue will donate an age-appropriate book to a deserving child through partner Barefoot Books. Up to $200,000 worth of books will be donated through this program. 2. 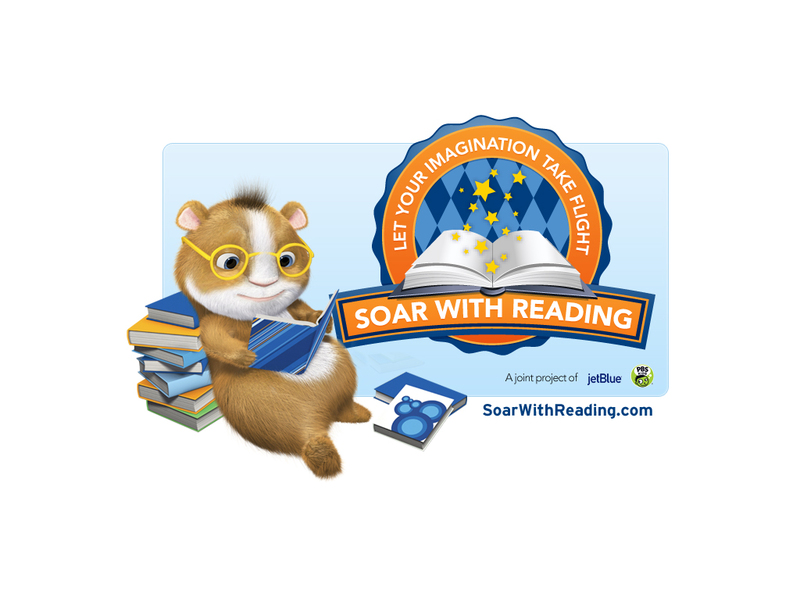 While on the site, families can access free summer reading materials, including an interactive reading list, reading tips and more. 3. As a special thank you, adults who share their favorite book on the site can also enter into a sweepstakes to win great prizes, including a JetBlue Getaways vacation package! 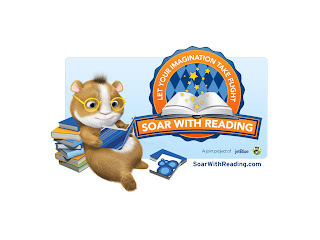 Additionally, Jet Blue and PBS Kids have provided a summer reading travel pack to be given away to a reader of The Other Boufs. This pack is preschool-elementary age appropriate. Leave me a comment letting me know your favorite children's book or your favorite reading memory for a chance to win. I will pick a winner via random.org on Saturday, 8/18. Extra entries are available for twitter followers and for tweeting this post. Please leave a separate comment below for each. I always have a tough time answering this question - too many to choose from! Harold and the Purple Crayon is a favorite for us and The Gruffalo. Hey Julie! I finally get to enter one of your give aways... We love to read!! It's really cool to see Maddie reading books that I read when I was little, like Ramona books and the babysitter's club little sister books. And we even have a copy of Mrs. Piggle Wiggle too.